Q2. What is normal river dolphin behavior? It is important that scientists understand just what is normal river dolphin behavior. How they interact with each other, other species and with their habitat are all important questions that scientists need to answer in order to better understand the dolphins. We hope to observe dolphins feeding, socializing, traveling, communicating, and playing. Because general information on the number of dolphins and where they are in portions of the reserve has been determined, this study will focus on the behavior and movements of individual dolphins. There have been many successful studies of oceanic dolphins where individual dolphins have been identified and followed for years. One of the goals of this study is to improve the methods for *photo-identifying individual river dolphins so that they may also be followed over the years. 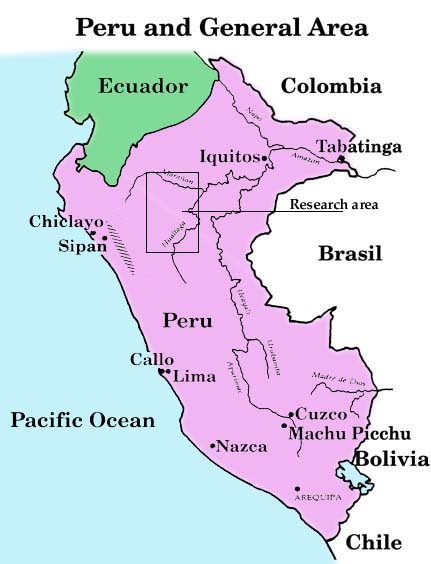 Amazon river dolphins feed on a large variety of fish, are generally thought to be more solitary than oceanic dolphins, and they use ecolocation to communicate with one another. Their lifespan is unknown. 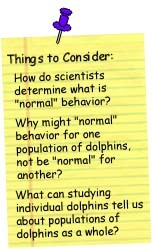 How does answering the question, "What is normal river dolphin behavior?" help us create a conservation plan that protects the dolphins and benefits the local people?